Home > OPEC > Can Saudi Make a Turn To a Future Without Oil? Can Saudi Make a Turn To a Future Without Oil? Toward the end of a long and productive life, my late father-in-law came to live with my wife and me when he could no longer look out for himself. For a nonagenarian he was remarkably lucid and able to recall the details of his life many decades ago. So I often asked him about his early adulthood, when he moved to Saudi Arabia to work for the Arabian-American Oil Company (now Saudi Aramco) shortly after the end of World War II. “It was a real third world country back then” he would say, “with no running water outside of the major cities and local tribal leaders controlling everything that went on in the desert where I was working.” But the partnership between our two countries with radically different cultures worked because it had to: we needed their oil, and they needed the expertise of people like my father-in-law to pump it out of the ground. That was seventy years ago, and since then Saudi Arabia has catapulted to the top of the oil-producing world thanks to canny leadership and an unwavering commitment to controlling the global petroleum supply. At the heart of that strategy was its dominance of OPEC (Organization of Petroleum Exporting Countries), which for the past 23 years was orchestrated by Saudi Oil Minister Ali al-Naimi. However, at the age of 80 and his country on the precipice of significant economic transition, Naimi stepped down as Saudi Oil Minister to make room for his replacement, Khalid al-Falih. The stock market took the news hard, with most oil companies immediately dropping in value over the prospect of instability within the senior OPEC ranks. All three of the energy companies in the PF Growth Portfolio – National Oilwell Varco (NOV), Marathon Petroleum (MPC), and Chevron (CVX) – dropped on the news, even though one is a drilling equipment manufacturer, another is a refiner, and one is a diversified oil conglomerate so the financial impact on each of them will not be the same. 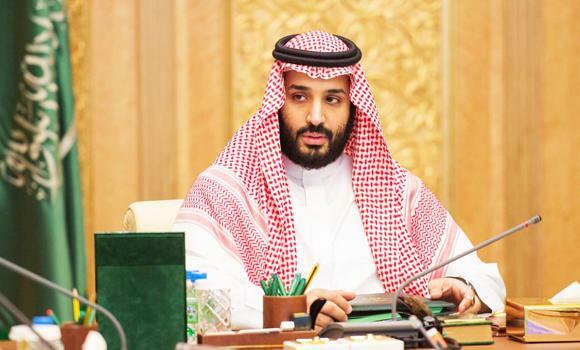 The price of oil also took a quick hit, as investors reckoned that the new Saudi Oil Minister will not enjoy the same degree of influence as his predecessor. And since the primary objective of OPEC is to manipulate the supply of oil, anything that may lessen members’ willingness to work in unison increases the chances that its member countries may break from the pack and ignore production quotas, thereby dumping more supply on an already saturated market. However, this change in command within Saudi Arabia is only one variable in a complex energy equation that can change quickly. Of greater concern are possible heightened tensions within OPEC now that Iran is adding its petroleum to the global oil supply. Saudi Arabia has a fragile relationship with Iran, avoiding armed conflict with its confrontational neighbor while enabling sanctions by the U.S. and its allies to keep Iran somewhat contained. But those sanctions have recently been relaxed, so now the two countries have been forced into working out some sort of mutually beneficial relationship. If they cannot, then the world’s oil supply could be thrown into a prolonged state of chaos. That could be good news for North American producers, who are happy to step in whenever OPEC nations are in a state of turmoil. Nobody wants a war, but everyone knows that one between Saudi Arabia and one of its neighbors is not out of the question. Throw into the mix a new U.S. President nine months from now, and you have all the necessary ingredients for a highly charged political environment in the Middle East next year. Against that backdrop, Saudi Arabia announced last month it might sell off 5% of its stock in Aramco in an IPO for $2 trillion, or more, to raise capital for investment in other industries. The country is starting to feel the pinch of diminishing oil profits, and needs the cash to diversify into other sectors that will sustain its economy once petroleum is no longer financially viable to pump out of the ground – something its outgoing oil minister said could happen within the next 25 years. This puts Saudi Arabia in an awkward position. To sell that stake for maximum value, Saudi Arabia would prefer to see less production by its OPEC cohorts to drive up the price of oil and thereby increase the current value of oil revenues. If it fears growing output from Iran – or any other producer in the region – may threaten its ability to control oil prices, then it may feel compelled to do something to prevent any of them from fulfilling their ambitions until the deal is consummated. I can’t help but wonder what my father-in-law would think if he were around to see this latest development in Saudi Arabia’s evolution from a desolate nation-state 100 years ago to one of the world’s leading economic powers today. The country is rapidly turning the corner to a future without oil as its “ace in the hole,” and how it navigates the next couple of years will affect the fate of North American oil companies, and could determine the fate of its people for the next century and beyond.